Passionate about making music with people, self-proclaimed “band geek,” Taina Lorenz, is thrilled to be Music Director of the Cosmopolitan Music Society. She has over twenty years of teaching experience in instrumental music across different levels of the school system and community. She is sought after as a clinician and guest lecturer in Edmonton, Western Canada, and the United States. A performer for most of her life, Taina has conducted wind ensemble, concert band, brass band, chamber winds, choir, and chamber orchestra, and has played trumpet in a wide range of ensembles, including wind ensemble, concert band, symphony and pit orchestras, brass band, big band jazz, and chamber winds. She has studied advanced conducting with Angela Schroeder, Wayne Toews, Timothy Salzman, Craig Kirchoff, Gary Hill, Emily Threinin, Gillian MacKay, Jeff Reynolds, and Mallory Thompson. Her studies on trumpet have been with Fordyce “Duke” Pier, Wendy Grasdahl, and Ottawa’s Rick Rangno. Taina holds a Bachelor of Education in Music Education, and a Master of Music in Wind Conducting from the University of Alberta. She is currently working on her PhD in Music Education at the University of Washington in Seattle. 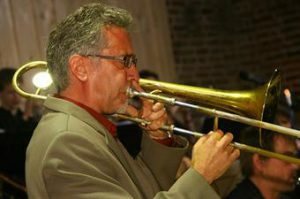 Allen Jacobson is a Trombonist, Vocalist, Composer, Arranger, and Educator who has performed throughout Canada and internationally for many years. During the course of his career he has established a reputation as an outstanding performer and educator. 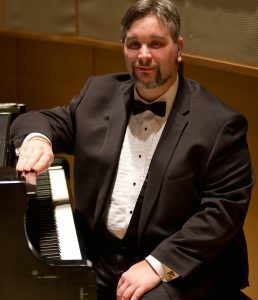 He has performed with the Edmonton Symphony Orchestra, the Baden Baden Philharmonic (Conductor & Soloist), the European Philharmonie (Conductor, Soloist) the Citadel THEATRE, Tommy Banks Band, The Joan Rivers, Rich Little and Red Skelton Shows, European productions of Cats, Chicago and Cabaret, West Side Story (among numerous others), The EdJE (the JUNO nominated Edmonton Jazz Ensemble), film scores, jingles, modern dance collaborations and numerous commercial recordings. Mr. Jacobson has performed in a wide variety of musical contexts including Theatrical, Symphonic, Mainstream Jazz, Contemporary Pop, Afro-Cuban, Latin Jazz, Blues, Big Band, Modern Dance, Avant Garde/Free Improvisation and numerous others and has performed at Jazz and World Music Festivals throughout Canada and in Europe, Scandinavia and Asia. As an Educator, Mr. Jacobson has many years of experience as an adjudicator, providing workshops/seminars and in private teaching. He has provided workshops/seminars to schools, Colleges and Universities throughout Western Canada and Germany, and was a faculty member of the Performing Arts Universities of Frankfurt, Mannheim and Mainz. Rob Speers, born and raised in Edmonton, is currently Music Director at Harry Ainlay High School, where he has been teaching for the past 31 years. Ensembles under his direction have consistently attained awards and accolades at local, provincial, national and international levels. 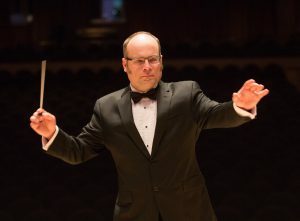 Rob has conducted church choirs, youth choirs, community bands and marching bands in addition to his duties at school, where he conducts the Symphonic Band, Jazz Band “A” and “B”, and Concert Band. Rob continues to work as a freelance trumpet player and remains active as a conductor, adjudicator, performer and clinician throughout western Canada and internationally. 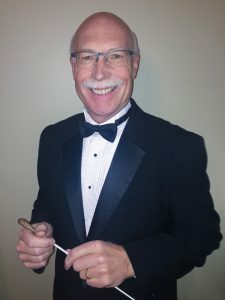 Rob is currently the President of the Alberta International Band Festival, and served for many years on the board of the Alberta Band Association, Music Alberta and the New Edmonton Wind Sinfonia. He is a member of the honorary band fraternity Phi Beta Mu and was awarded the prestigious David Peterkin Award in 2003 and received the 2005 Elkhorn Award from the Alberta Band Association. In 2006, Rob was the recipient of Alberta Foundation of the Arts’ Tommy Banks Award and in 2013 Rob received the Vondis Miller Legacy Award from the Alberta Band Association. In 2014 Rob was inducted into the John Phillip Sousa Foundation’s Legion of Honor. Rob is married to flautist, Dorothy Speers and has three children and four grandsons. When school is not in session and Rob or Dot are not touring out in the world, the family can be found relaxing with a glass of wine at their cottage at Moose Lake, in northern Alberta. Roy Townend has a Bachelor of Music in Performance on trumpet and a Bachelor of Education degree in secondary music, both from the University of Alberta. He started teaching band in 1978 with the County of Grande Prairie, and in 2015 retired from teaching music after 31 years with Edmonton Public Schools. Roy played trumpet in the Cosmopolitan music groups in the 1970’s and is thrilled to be a part of the instructional team this year, filling in for Taina Lorenz as the conductor of the Tuesday Night Band. Roy has received an Excellence in Teaching Award from the Council on Alberta Teaching Standards, the Elkhorn Award (Alberta Band Director of the year) from the Alberta Band Association, the David J. Peterkin Memorial Award from the Mu Alpha chapter of the band director’s fraternity Phi Beta Mu, for his dedicated contribution to the band community in Alberta, and the Vondis Miller Legacy Award from the Alberta Band Association for long service to the band world. Roy is one of the founding board members of the Alberta Summer Music Workshop Association (MusiCamp Alberta). He has also served on the Board of Directors for Music Alberta and the Alberta Band Association, and continues in the role of bookkeeper for the Alberta Band Association and the Alberta Summer Music Workshop Association. Roy is a past-president of the New Edmonton Wind Sinfonia (Edmonton Winds) and still performs as a member of the trumpet section of this ensemble. 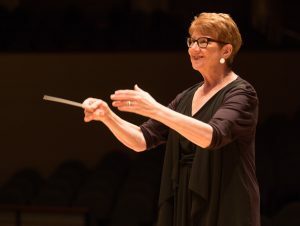 A graduate of the music education program at the University of Alberta, Rita Burns is retired from teaching junior high band musicians in Edmonton. Her bands were consistent award winners. Rita Burns has received several honours throughout her career: the David Peterkin Award for excellence in band music from the band fraternity, Phi Beta Mu; the Elkhorn Award for band director of the year from the Alberta Band Association; a provincial Excellence in Teaching Award; a Prime Minister’s Award for Teaching Excellence; and the Vondis Miller Legacy Award from the Alberta Band Association for long service to the band world. Jamie Burns currently teaches at W. P. Wagner High School. In 2005, he completed a Master of Music degree in Choral Conducting at the University of Alberta, under the supervision of Dr. Robert de Frece. Prior to graduate work, Jamie earned bachelor degrees in music and education, also at the U of A. He continues to maintain an active performance schedule as a conductor, singer, trumpeter, pianist, and jazz musician. In addition to his work with the CMS, Jamie plays trumpet in the New Edmonton Wind Sinfonia. He is a former member of JUBILOSO! 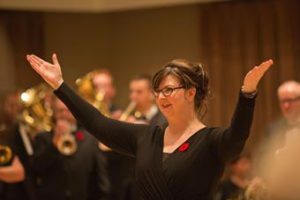 Bells of Concordia, the U of A Madrigal Singers, and the Mill Creek Colliery Band, and is a former Assistant Conductor of the U of A Mixed Chorus. Jamie’s teaching credits also include jazz history and improvisation sessions at the U of A Summer Jazz Camp and an undergraduate aural and keyboard skills class in the U of A’s Music Department. 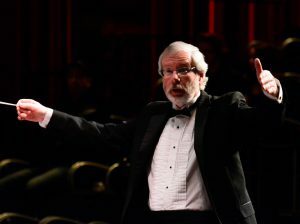 He is in demand as a high school choral and band clinician, and has received numerous provincial and institutional awards for academics, leadership, and musicianship. Jared Samborski brings The Cosmopolitan Music Society eighteen years of choral accompanying experience and the Associate of Music Diploma in piano performance (Western Board of Music), completed under the tutelage of Willa Meyers. Also an avid violinist, Jared carries the practical portion of Grade X Violin (Royal Conservatory of Music) from his studies with Ranald Shean. Over the years, Jared has been a festival adjudicator, an instructor of piano, violin, viola, and theory, a vocal accompanist, a player of the glockenspiel, a marching band member, a composer, an actor, a conductor, and a director. He also accompanies the University of Alberta Mixed Chorus. Craig Goueffic is a trombonist currently playing in the Cosmopolitan Music Society Monday Band. 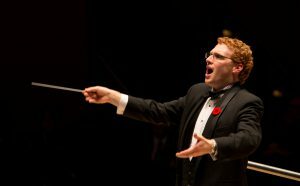 Craig is also employed by the Edmonton Catholic School District and is currently serving as the music director at Cardinal Leger Junior High School. Craig graduated high school in 2005 and pursued a Bachelor of Education degree at the University of Alberta from 2005 until 2012. 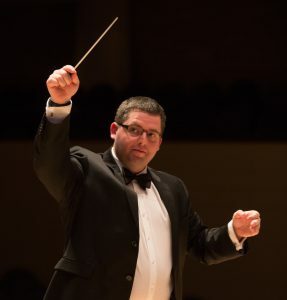 During his time as a student, Craig has performed in the University of Alberta Jazz Band, Concert Band, Symphonic Wind Ensemble, and Symphony Orchestra. During that time, Craig has worked under the direction of Dr. Angela Schroeder, Dr. Tom Dust, Fordyce (Duke) Pier, Malcolm Forsyth, John McPherson, Chris Taylor, Wendy Grasdahl, and Tanya Prochazka. Craig has also performed with world-renowned euphonium performer Brian Bowman as well as trumpet player Jens Lindemann. Craig joined the Cosmopolitan Music Society conducting team in 2016 and is extremely proud and excited to conduct the Beginner Band. Craig is also in demand as a trombone clinician within the city of Edmonton. 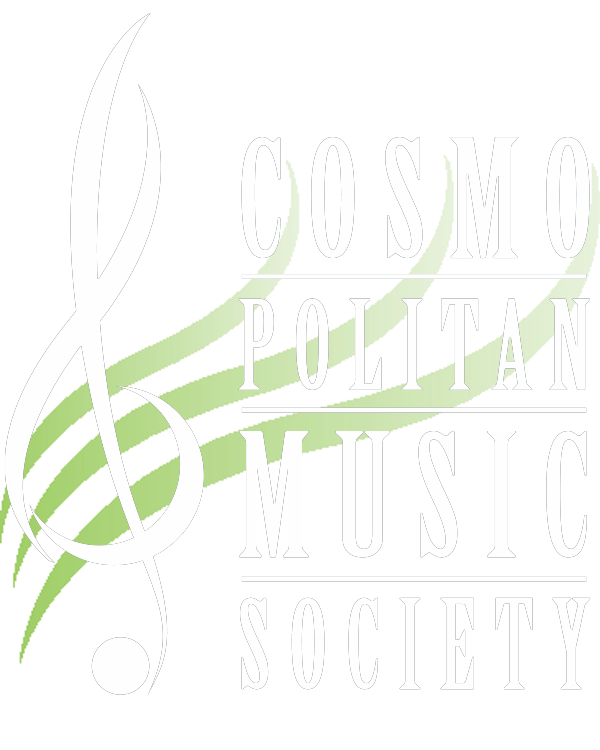 Dale Chapman is pleased to be working with the Cosmopolitan Jazz 101 and Jazz 202 program. He currently teaches instrumental music at Archbishop MacDonald High School. A musician since he was six years old, Dale studied classical piano through Royal Conservatory of Music, jazz piano, composition, and arranging at Grant MacEwan College, and received a B.Ed. in secondary music education from the University of Alberta. Dale plays trumpet with the Barefoot Big Band. He has played in several bands, performing jazz, Canadiana Folk Music, folk music, Reggae (with one of Bob Marley’s last guitarists), West African dance music, Portuguese Marching Band, Big Band, Small Combo. Dale has also studied Senegalese percussion for ten years from a drum master learning how to play djembe, sabaar, laambe, & tama. It doesn’t matter what instrument, as long as he is making music.